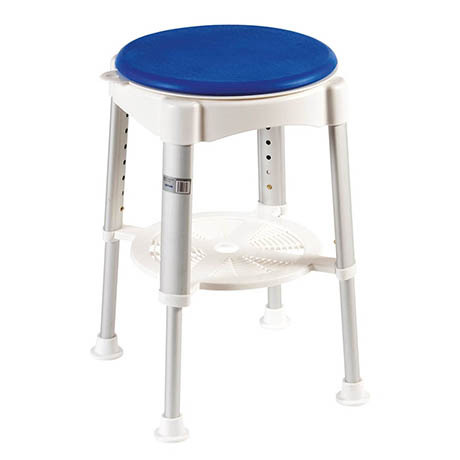 This rotating seat reduces twisting and reaching while in the shower providing added manoeuvrability, ideal for individuals who have balance or mobility issues to assist when in the shower or bath. It features push-button height adjustment for adapting to bath, shower or user requirements and non slip, non marking feet provide additional stability. Easy to assemble and clean.